​Born in North Central Texas, raised in Fort Worth. Spent childhood and youth summers camping with my parents all over the American West, with extra time spent in Yellowstone National Park. College summers spent working in Yellowstone Park. Started out career as high school science teacher, then moved to Shell Oil Company for 35-year career. 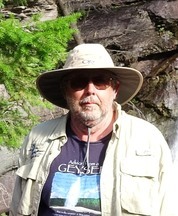 Married for over 40 years to Carol, who I met while I worked in Yellowstone Park. We have one son. Have grown through all forms of camping: Backpacking, tenting, small pop-up camping trailer, and now large travel trailer. Enjoy church activities, reading, photography, camping, hiking, and road trips. If we can drive there, we prefer to – over flying, that is. Most national parks in the United States have some sort of recognizable identity. 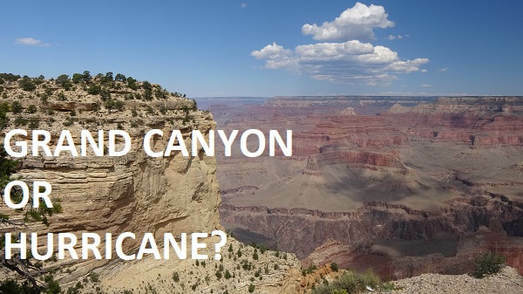 For example, Yellowstone: Bears and geysers; Yosemite: A gorgeous valley and the Sierras; Grand Canyon: Well, the obvious. The list can go on and on. But what about North Cascades National Park? Maybe . . . waterfalls? North Cascades is one of our least known and least visited national parks. It is located in north central Washington state – not in any inaccessible location. Florida’s Dry Tortugas National Park gets almost twice as many visitors a year, and you can’t get there except by airplane, or a long, long boat ride. A two hour drive from Seattle puts you deep into North Cascades. READ MORE. Most of us live in our comfort zones, only grudgingly getting out if necessity demands it. As we age, we dread those times when we have to do something unfamiliar. 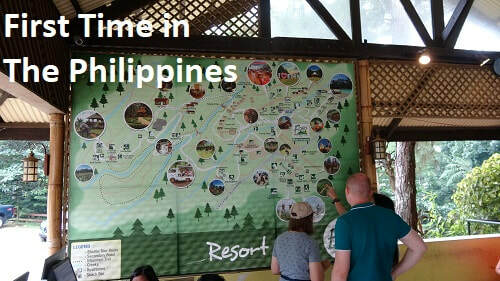 At 70, my wife and I were planning a two-week trip to the Philippines. We’ve never done anything remotely like this before. Before this trip, I had never been outside of the United States – other than a short trip over the border into Canada or Mexico. READ MORE. Carol and I had started on a two-day trip from Yosemite to Grand Canyon National Park when we first heard the words “Hurricane Harvey” uttered. In a short news break, the country music station we had tuned to said, “In other news, Hurricane Harvey is continuing across the Gulf of Mexico . . .” We both said, “WHAT?!?! ?” and tuned the satellite radio to CNN to get filled in. I suppose I should add that we have lived in the Greater Houston area for over 40 years now, and are very familiar with, and leery of, any hurricane in the area. ​ READ MORE. ​There are, I suppose, all kinds of people, based on what area they like to play in. There are City People, there are Beach People and there are Mountain People. Probably many others as well. My wife and I are confirmed Mountain People. Our best vacations usually occur high in the Rockies, with cold mornings, pine trees everywhere, and a distinct lack of Wi-Fi or even basic cell coverage. This year, we designated the month of August to be shivering in Glacier National Park, then Yellowstone. READ MORE. In 1870, a group of citizens, after a tour of the area, first discussed the idea of setting aside the area as a national park. In 1864, the state of California had asked Congress to set aside Yosemite Valley and the Merced Grove area as federally-protected areas; Abraham Lincoln signed the bill, and two years later it became a preserve run by the state of California. The group of prominent citizens, mainly from Montana, proposed going all the way, and making the Yellowstone area a National Park, the first of its kind in the world. READ MORE. When you hike a trail in Yellowstone or Glacier National Park, you may need to share your trail with indigenous park wildlife. The wildlife that causes the greatest concern for most hikers is charismatic megafauna. This modern term includes deer, elk, moose, bison and bear. Of these species, the two that cause the most concern and outright consternation are Ursus Arctos Horriblilis, the grizzly bear, or Ursus americanus, the American black bear. READ MORE. Located in the Southern Cascade mountain range in Oregon is a park with the deepest lake in the United States. Crater Lake is almost 2,000 feet deep, and the park gave us an interesting time in the two full days we spent there. Crater Lake National Park has its central attraction – the lake itself – in the center of the park. The round lake is about 6 miles long by about 5 miles wide, with a surface area of about 20 square miles. A loop road circles the lake and presents the visitor with beautiful views of the lake or the surrounding countryside. The raw beauty of this lake is this park’s primary drawing. ​ READ MORE. ALBUQUERQUE_Does the sight of over a hundred hot air balloons lifting off at once stir your heart? Do you long for the sight of a dozen hot air balloons rising together in a desert mountain sunrise? Does the notion of getting up at 3:15 in the morning to see all this make your pulse race? If you can answer a resounding “YES!” to two of these, and a “. . .uhhh . . . I don’t know about that . . .” to a third – then the Albuquerque Balloon Fiesta might be just the thing for you. ​ READ MORE. Every year, for the last 45 years, an area south of Kerrville, Texas becomes a gathering site for aspiring songwriters from all over the nation, and a few foreign countries. For 18 days, singers and songwriters gather at the Quiet Valley Ranch to share songs, perform around campfires, and listen to singers not many people have heard of – yet. 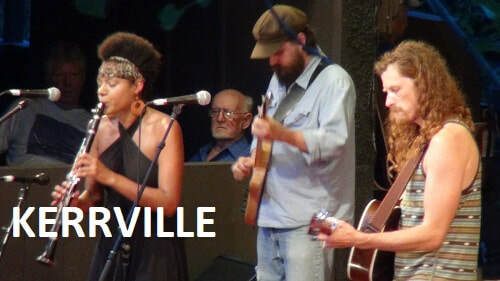 The Kerrville Folk Festival applies a very wide definition to “Folk” music, including blues, bluegrass, country, rock, and other acts that often defy categories. ​ READ MORE. All along Interstate 2, the orange and grapefruit groves are slowly being pushed aside by shopping centers and RV parks. Beyond the orchards, stores, and RV parks, the Valley area is also home to poverty on a large scale. ​ READ MORE.